FQB "Hello Baby Boy" Collection warmly welcomes the new baby boy in your life with this sophisticated digital baby kit! 5 Blank journal strips that allow you to personlize your scrapbooking layouts and cards. 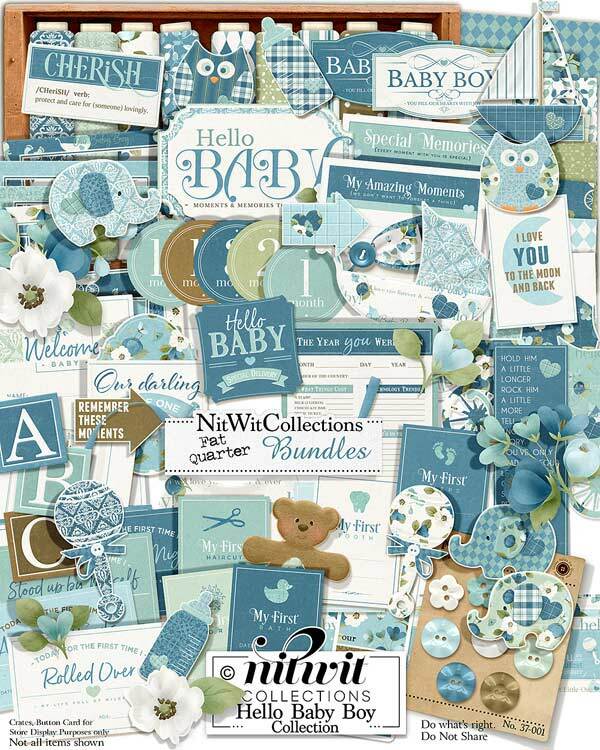 Make your creations as special as this new baby boy! 1 Year born card that will give your baby boy a sense of that year! Popular music and movies, what things cost, what was in technology and so much more. Create a baby boy scrapbook album or card that will be treasured for a lifetime!